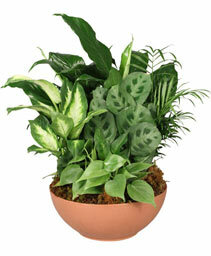 Send our truly original arrangement to let your special someone embrace their inner interior decorator. 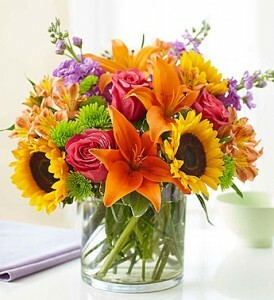 Crafted by our expert florists from the freshest roses, lilies, stock, sunflowers and alstroemeria in a classic cylinder vase, its compact beauty is perfect for impressing friends and family or for simply dressing up any room in the home. 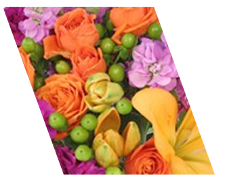 Colors and varieties of flowers may vary. 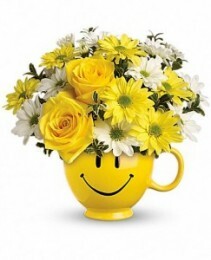 When you're looking to make someone smile, this happy face mug of roses and daisies is tops. Sure to cheer up everyone from a beloved wife to a busy boss, these are also great flowers for kids. 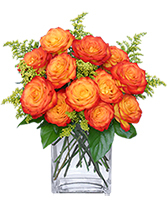 ****Colors can vary if specified in Special Instructions. What's prettier than a boquet of lilies? 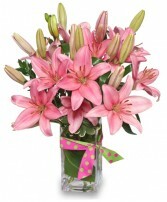 Available in Pink,White,Yellor or Orange. 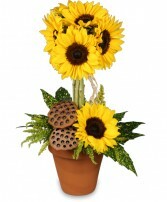 Please call us to see what colors are available. 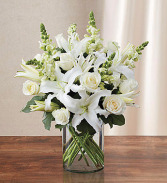 White flowers have a timeless elegance, which is captured in our luxurious all-white arrangement. A soft yet poignant mix of roses, lilies and snapdragons is hand-gathered with touches of lush greenery inside a stylish vase. What more beautiful gift to express your love, thanks, appreciation, support—whatever is on your mind and in your heart.